Be a part of the "Local Flavours – Farm to Table & Glass" program and generate visitor traffic with this proven, self-guided tour. This popular guide, which is divided into three sections, Farms, Table, and Glass, creates awareness and increases visitation for participating businesses through expanded exposure and cross promotion. The farm-to-table and glass experience comes alive for visitors and celebrates the connection between local farmers, artisan producers, chefs, and mixologists. 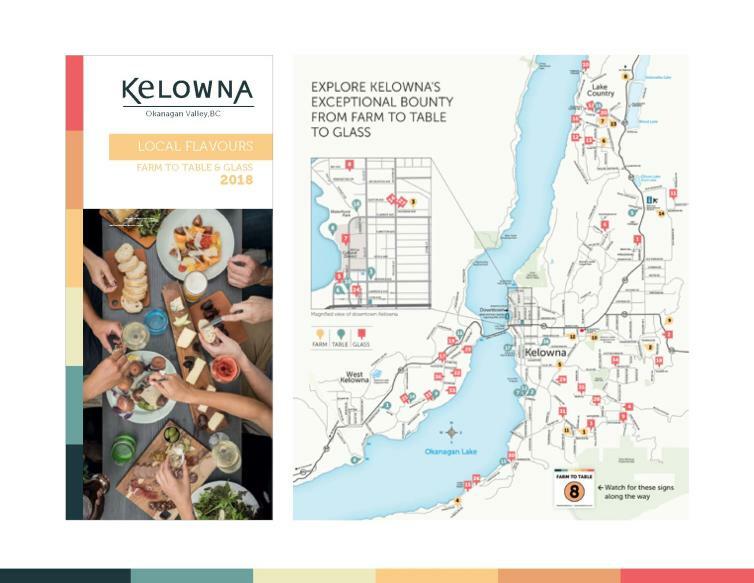 Guides are distributed at participating businesses, visitor centres, and at attractions and accommodations throughout the Central Okanagan, and across British Columbia and Alberta. The rate to be included in the program is $525 + tax and the deadline is Monday, January 28. To book your space today or for more information on the guide, please contact Sara Correa at (250) 861-1515 ext. 218 or sara@tourismkelowna.com.